In the previous blog, I have introduced you how to use tcode MDS_LOAD_COCKPIT. 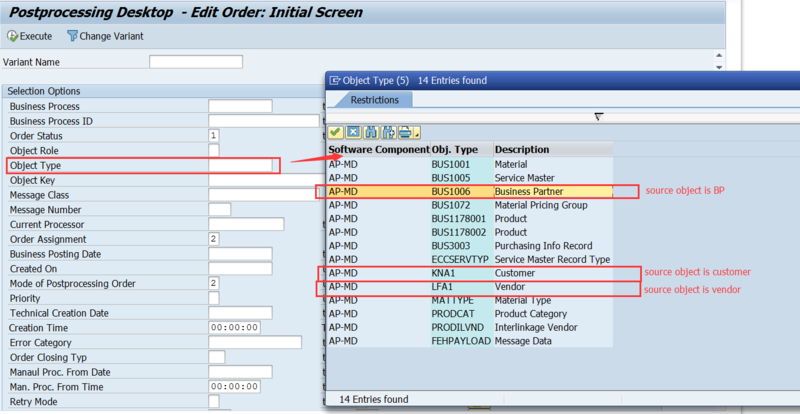 In S/4HANA system or when you activate CVI in ERP system, you often encounter that the change on BP could not be saved when you edit the BP in customer/verdor role. This is normally due to the error in synchronization process. You could check in MDS_PPO2 for the error logs. 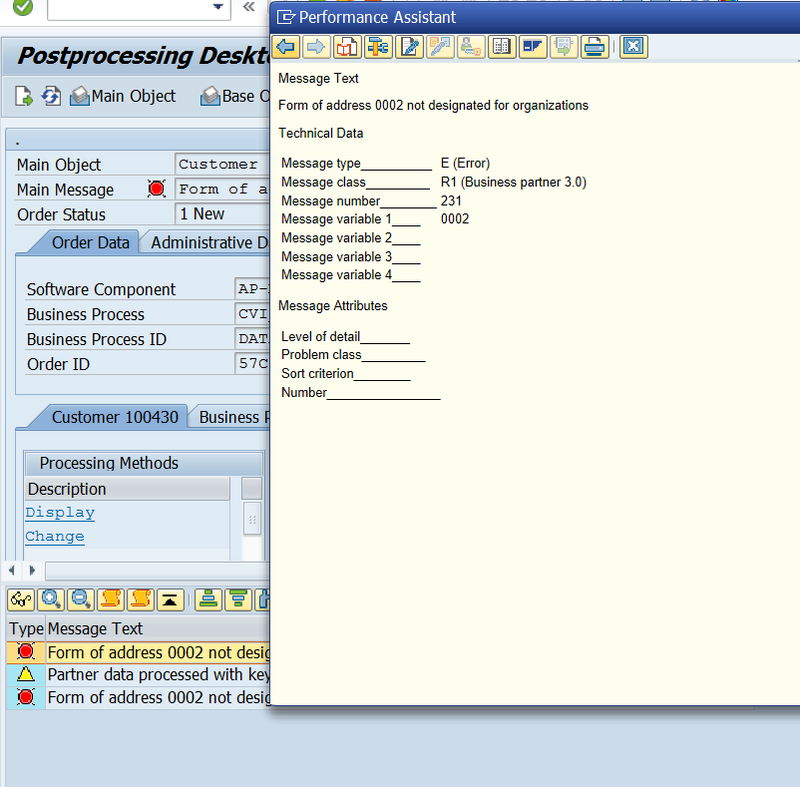 Here I will introduce you how to check the error logs in MDS_PPO2. For example, I performed change for the customer 100430 on the house number. After saving, I noticed the corresponding BP data is not updated successfully. That means there should be error during the synchronization. Then we can go to the tcode MDS_PPO2. This tcode contains the error logs during the synchronization. I input the “created on” date as today since I performed the change today. If you want to check the error logs for the specific BP/customer/vendor, you could specify the information in “object type” and “object key”. – For “object type”, you should choose the source object. 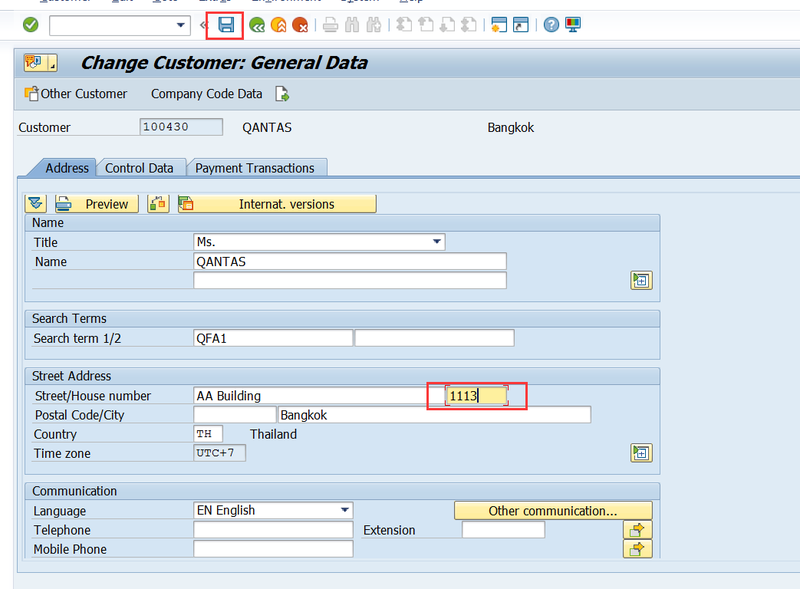 – For “object key”, you need to enter the ID of the BP/customer/vendor. Press “execute” button. You can see all the required error logs. Here you could see the information about the affected customer/vendor/bp number, synchronization destination and main error message. It is very easy-reading to understand what happens in the synchronization. Double click this entry. You can see the details of the error log. The main error is “Form of address ** not designed for organizations”. You will know the error is related to the form of address. If you press the display button, you could see the error ID and Number. 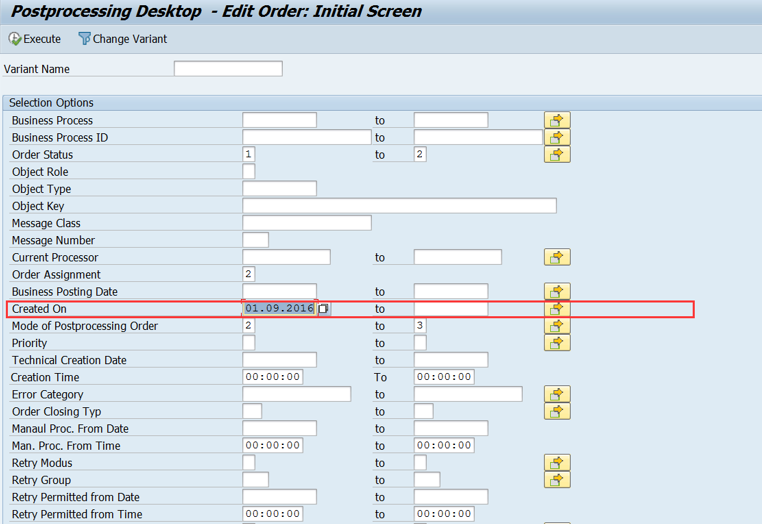 If you meet such kinds of issue and you don’t know how to resolve it, you could use the error information, such as R1231 in this case, to search notes/KBAs in SAP support portal before you raise an SAP incident. 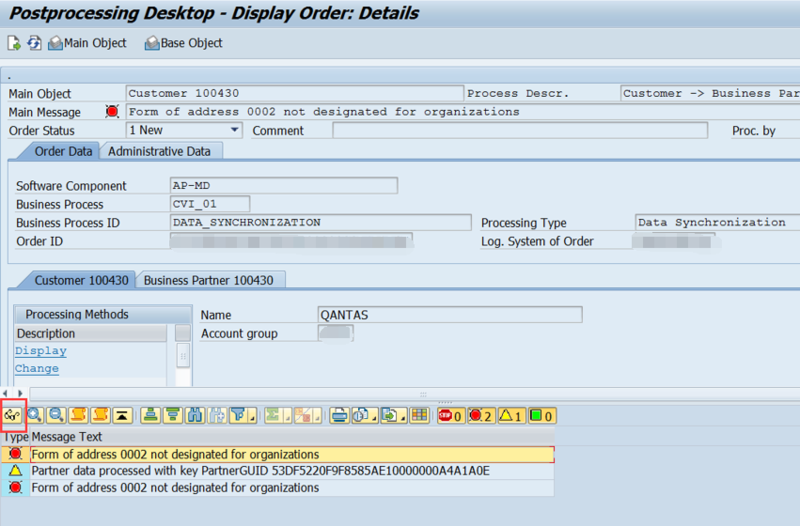 Regarding synchronization, I have also created the following KBA. Hope they could help you more. Thank you for sharing !! I have checked the mentioned notes, from that what I reckon is the synchronization may not be activated. Could that be only reason for this or there are other options to look at as well? Please note the PPO log can be generated when the following is activated. Thanks a lot for sharing! Just a question regarding tcode MDS_PPO2. Is there any way to reprocess the failed synchronizations, masively? I think you could record all the failed records and run the MDS_LOAD_COCKPIT again for them.